My sister, Laura, is having a baby! I was so excited when she told me a few months ago. I wasn’t sure if they were telling people so I kept it under wraps. However, the secret is out now. I’m going to be an aunt in August. It’s coming up fast! With baby on the brain, I thought of ways I could help my sister. I’ve already purchased some cute outfits and supplies she’ll need when the little one arrives. Laura, being the uber organized type, has already started prepping. I imagine her nesting instincts are kicking into overdrive as she readies the baby’s room. 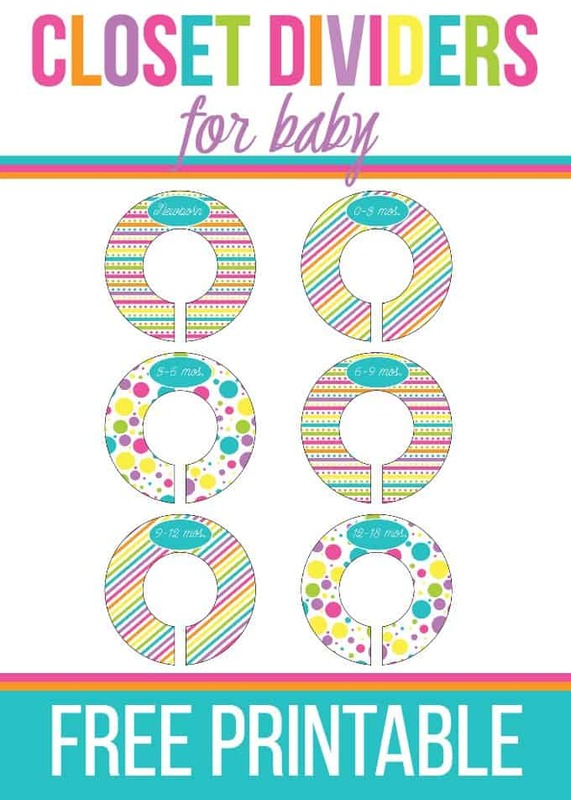 I thought I’d make her some cute Closet Dividers for Baby to organized the baby’s closet. Instead of just giving them to her, I’m also sharing them with all of you. If you have friends with babies, feel free to share this post with them too. Print them out on the paper of your choice. I’d recommend using a thicker paper if you can like a card stock so it’s more durable. Then hang them in baby’s closet. I wish I would have had some closet dividers when my girls were babies. They outgrew some cute outfits before they even had a chance to wear them because they were hidden at the back of the closet. Has that ever happened to you? It’s annoying! Hopefully, these handy closet dividers will help you to never lose a cute outfit again! 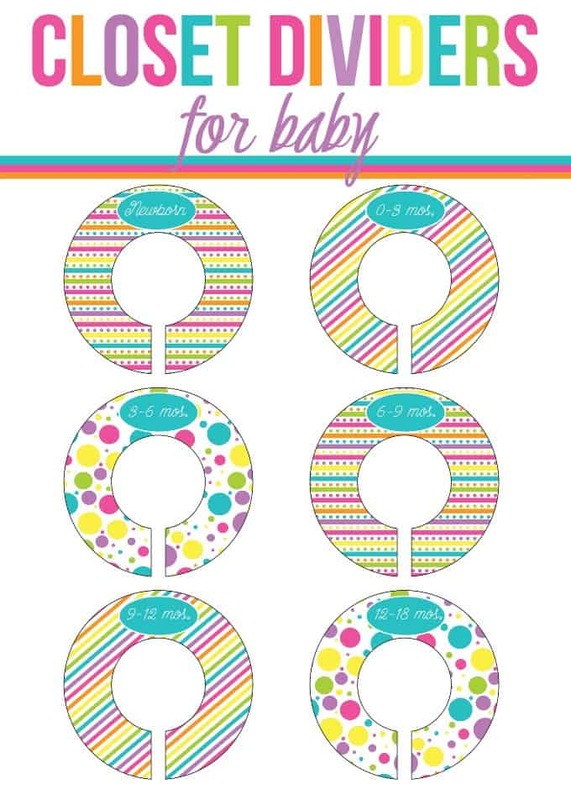 Print out these Closet Dividers for Baby for free. You might also like these baby shower games for girls. Fill out the form below to get your Closet Dividers for Baby delivered right to your inbox. Did you use closet dividers with your baby? Very cute idea and I have a couple friends expecting, might have to make some of these up. This is a great idea to keep the clothes organize!! This is a fabulous idea! I don’t have babies in my life (mine is now 24 ☺) so I’ve decided to adapt your idea for my own closet. I’m thinking I could use poster board from the Dollar Tree, a marker, and a homemade template to create dividers for “Short Sleeve, “Long Sleeve,” “Pants,” “Tank Tops,” “Pajamas,” etc. Thank you for this post — and I give you 100% credit for my soon-to-be organized closet!